Shadow Investigation Services are able to operate globally as we have a network of trusted contacts throughout the world. Wherever we operate you can be sure that the investigation will be completed in a timely manner, within your budget and to a high standard. The client will be informed of the progress of the case at regular intervals and you will be consulted prior to any important operational decisions being made. We undertake all types of surveillance operations and are capable of deploying the requisite amount of personnel due to our extensive network of trusted contacts. We have a range of vehicle tracking devices available, if necessary, that could prove to be a more cost effective method of gathering evidence. 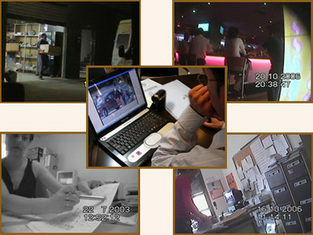 We specialise in all matrimonial or pre-nuptial enquiries, this may include surveillance and/or undercover operations. Should you require further information please contact us directly as we understand the sensitive nature of these enquiries. The surveillance will be video recorded and clients will be provided with a DVD depicting any evidence discovered. You will also receive a full written report of each days activities. As a business owner, if you suspect that you are the victim of fraud or theft, we are able to supply experienced undercover operatives capable of infiltrating your workforce. Workplace infiltration is also a useful method for proving or disproving allegations of unlawful behaviour such as racism, sexism or harassment. Covert audio and video equipment could be used to support any findings.